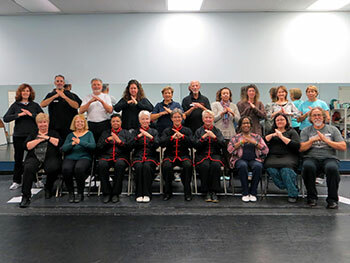 Susan Hamadock, LCSW, Program Director of Silver Lotus Training Institute, invites you to attend our 2019 Tai Chi and Qigong Teacher Training Certification Program. Location: Lewes/Rehoboth area - Location to be announced at a later date. The training will be held on four Sundays. Level II training occurs on the same dates, but will be individualized to include not only repetition of Level, but also your own interests as you advance your teaching. Please join us for another exciting teacher training program! Tai Chi for Beginners - First 8 moves of Yang Style 24 forms and Waving Hands in Clouds. 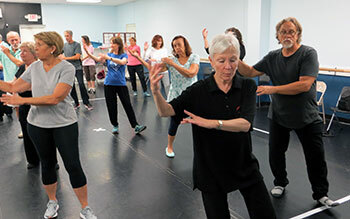 All students interested in deepening their understanding of Tai Chi and Qigong are welcome. This is a comprehensive program that includes short reading assignments and home study. It is a relaxed way of learning how to safely and effectively share your knowledge of Qigong and Tai Chi. Experience in Yang 24 Forms is highly recommended. Please bring your lunch, snacks and beverages. Bottled water will be provided. Registration and tuition information will be posted soon. For more information, contact Susan Hamadock at (302) 381-0585. Print a copy of the program flyer.